When a panhandler approaches a car in the intersection — his hand out, his eyes wide — that physical interaction is protected by the First Amendment, a federal district judge ruled Monday when he threw out an Arkansas city's panhandling ban. It's the latest such ban to be found unconstitutional since a 2015 Supreme Court decision made it harder for the government to pass laws regarding the content of speech. 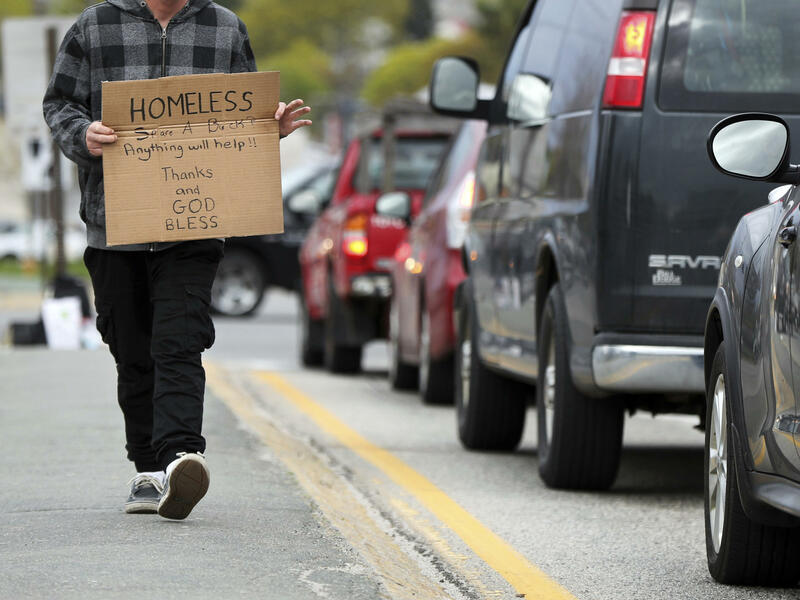 That case, Reed v. Town of Gilbert, had to do with regulating church signs, but courts around the country have cited the case as they strike down panhandling laws. To contend with an increase in panhandling at busy intersections, the city of Hot Springs in 2016 passed an ordinance imposing "an absolute ban" on solicitation on streets or in medians. After the American Civil Liberties Union sued, the city repealed the ordinance, according to the Arkansas Democrat-Gazette. In 2017, the city passed a new version of the ordinance. This one eliminated all references to panhandling and instead made it illegal for pedestrians or the occupant of a motor vehicle to "interact physically" while the engine was running on a public roadway. But that language was still constitutionally problematic, Judge Robert Dawson wrote, because physical interactions can convey love, disgust, sympathy, and myriad other emotions. "All people everywhere routinely communicate non-verbal messages through physical interaction, often without even noticing it," he said. "It is visceral and instinctive, and it is often the quickest way to communicate." Banning physical interaction between pedestrians and the occupants of a vehicle clearly has free speech implications, the judge wrote. "The Court can think of no reason why a pedestrian would intentionally attempt physical interaction with a motor vehicle or its occupants other than to communicate a message." "Putting your hand out expresses you need money," attorney Bettina Brownstein, who handled the case for the ACLU, told NPR. "Unless they're obstructing your traffic, your car, or assaulting you in some way," the speech is protected, she said. People in their cars may be uncomfortable when panhandlers approach but aren't truly being threatened, said Brownstein. And the First Amendment "takes precedence over everything" – even the right of people to feel comfort in their cars, she said. "We respect the Court's decision," Hot Springs attorney Brian Albright said via email. "However, the safety of pedestrians and motorists are still a concern for the City." Albright said it's too early to say whether the city will appeal the ruling. The Reed case "has placed literally every panhandling ordinance in the United States at least under risk," said First Amendment scholar Enrique Armijo, associate dean for academic affairs at Elon University School of Law. Plenty of cities around the country have seen their panhandling laws struck down, Armijo said. Others have changed them to try to fit the new constitutional landscape. Hot Springs "did a better job than most cities with respect to defining the banned activity in a way that refers more to the conduct than the speech," said Armijo, who thinks the judge's ruling could be overturned on appeal. "It reads the First Amendment a little too broadly, given precedent," he said.